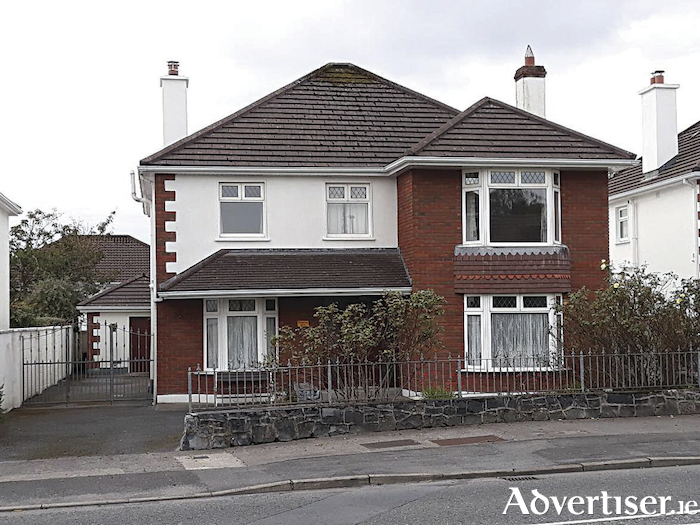 John Quinn has just received instructions to offer for sale a magnificent five bedroom detached property at No 20 Woodfield on the Cappagh Road. The property is a leisurely stroll from Barna Woods and Silverstrand and enjoys easy access to local schools, church, shops, Salthill, and the city centre, and the area is well served by an excellent bus service. The property is in wonderful condition internally and its features include a beautiful study, fabulous sitting room and dining room, first class kitchen and utility room, and a downstairs wc and whb. There are five family sized bedrooms, two of which are en suite, plus a beautiful main bathroom. The property has oil fired central heating and is situated on a splendid site with a side entrance and parking for several cars. The property also has an attractive rear garden with a very sunny aspect. The property, which has just come on the market, has a BER of D2 on BER cert no 111374427.